In Lee County, the total number of homes sold, including all property types, totaled 1568. This represents a decrease of 4.3% when compared to June 2012. Of those, single family homes represented a 3.8% decrease versus June 2012. Distressed single family sales showed a significant decrease year over year. Short sale solds totaled 101 in June 2013 representing a whopping 43.9% decrease! The number of foreclosure sales in June, 124, represented a 35.1% decrease from last year. The traditional non distressed single family home resale increased by 14.5% to total 827 sales this past June. These are all continued signs of returning to a normal healthy market. The total number of distressed sales in June 2013 made up 21.4% of single family home sales. The remaining 78.6% were traditional sales. Last year distressed sales in June totaled 34%, again showing a significant decrease in the foreclosure and short sale market. Now this next stat is quite impressive. The median price of existing homes in June increased 32.1% to $185,000! Since January 2013 Lee County’s median price has shot up 30.7% further bolstering the fact that now is the time to buy. “Not only are first time homebuyers looking to purchase a home, but many current homeowners recognize that they need to act now before affordability and interest rates rise further” said Doreen Falcone, President of the Realtor® Association of Greater Fort Myers and the Beach. Those homes that are under contract, or “pending”, numbered 1,154 in June. This represents an increase over last year of 17.5%. 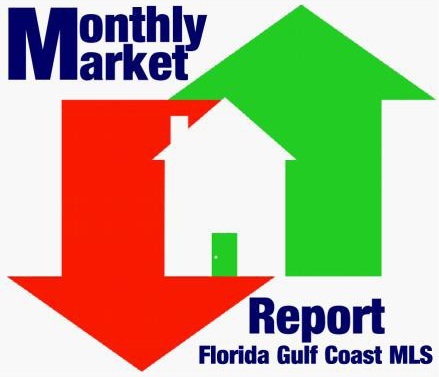 Overall the market has continued to improve month after month. The real need in the market place now is more inventory for the total number of buyers. A larger amount of home sellers will take some of the pressure off continued increases in median value. Best of all it contains simple to read explanations of all the information. As the month comes to a close, I'd like to take the opportunity to thank you, Pinnacle Property Group's loyal supporters, for your continued commitment to experiencing the difference with our team of certified expert real estate advisers. Located on both sides of the causeway to Sanibel, this beach is a great place to catch sight of dolphins playing in the bay. The sand is hard packed, so definitely bring a chair. Renowned for its great fishing, anglers line the shore during early morning and evening hours. The causeway attracts crowds at sunset because visitors can easily drive to the edge of the beach for spectacular views. Lennar has 6 buildings of Coach Homes in Emerson Square, located in South Ft Myers on the west side of US41, that are being built and are on sale NOW! Because of the short term of this project, they are priced low FROM THE $170's and intend to sell out quickly. I am providing a link for the Emerson Square site map along with the Emerson Square price sheet. These will be sold aggressively as Lennar will need the first 4 buildings sold and closed this fiscal year. These make a great seasonal rental investment property too. Open for sale today at the prices attached are buildings M and O. Building O has a $4,000 view premium. Please contact Robert Lee for details at 239.671.4046 or PinnacleGroupBroker@gmail.com. 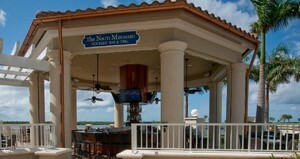 Emerson Square is ideally situated in South Fort Myers right off US-41. 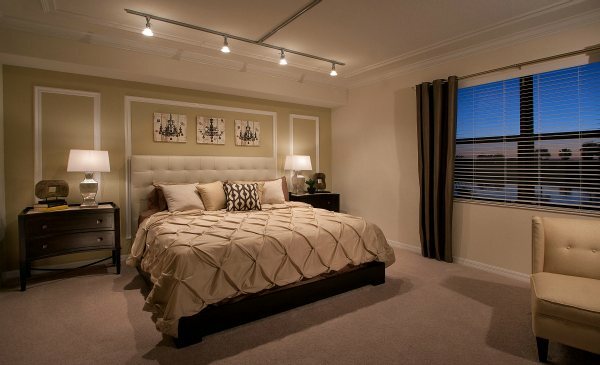 It is a gated community comprised of single family homes and coach homes, a total of 284 units in all. The location is close to everything and far from nothing...about a 20 minute drive to the Southwest International airport or Fort Myers beach. Shopping is everywhere! Within minutes to Florida Gulf Coast Town Center, Miromar Outlet Mall, Bell Tower and Coconut Pointe shoppes. There are too many eateries to list nearby as well. Emerson Square has its own clubhouse with pool and spa and fitness center. Originally built by Centex, Lennar Homes is now completing the final coach home buildings. Departure Films is seeking a couple for a new home renovation series for a major cable network. We are looking, ideally, for first-time vacation-home purchasers who are about to renovate their new investment into a vacation getaway/beach rental with plans to use the rents to help cover costs. Casting is open to couples planning to purchase + renovate in the Costal Florida area that are about to, or have recently, closed on their property. The home should be as close to the ocean as price will allow, near by or part of the local ‘beach community’, and have a property value in the +/- $400,000 - $600,000 range. We are particularly interested in hearing from couples who are ready to start renovations almost immediately and certainly by mid-May, 2013. In exchange for participation in the show, the chosen couple will receive funds to assist in making their renovation, rental, and revenue dreams come true! Please send a bio about yourselves, detailed information on the home you plan to renovate including pictures, property value and location to Karen@departure-films.com. The exquisite gated community of Paseo was created by Stock Development and has been named Community and Developer of the Year for 7 years now. Situated on approximately 44 acres in prestigious South Fort Myers this Mediterranean-style community is close to all the main attractions, shopping and beaches of Southwest Florida. This vibrant community features 1,158 homes but because of the innovate craftsmanship of these marvelous homes; there is a neighborhood for buyers of all ages. Whether its rest and relaxation or sports and activities, the 26,000 square foot Village Center is where you’ll find it. The fitness center features 4,000 square feet of state-of-the-art gym equipment, aerobics and Pilate studios. Paseo’s sports complex also includes six Hydro Grid tennis courts, professional tennis programs and cabanas. Community restaurants include the casual Paseo Pub with live entertainment, a light-fare menu, pool tables and Happy Hours. The Bistro is the ultimate in elegant dining with gourmet brunches and fine wine tasting. Professionals appreciate the complimentary coffee at the Internet Café and children of all ages can satisfy their sweet-tooth at the old-fashioned ice cream parlor. The luxurious, free-form pool includes all the perks that can only be found at the finest resorts. Water features and lavish landscapes lead to private cabanas where you can indulge in a light meal or a refreshing drink that are served at the Tiki bars. While adults enjoy the art of relaxation, children will delight in the elaborate water playground. Other unique amenities include: full concierge service, a 90-seat movie theater and a full-service spa. The Village Residence offers maintenance-free living in a wide variety of unique property choices. These multi-family homes include condominiums (flats), townhomes and split-level townhomes. The twin villa home in the Esperanza neighborhood and are available in two floor plans. All of these magnificent homes feature attached garages and screened-in covered lanais. The Casita design still offers maintenance-free living while having the privacy of a single family residency. These luxurious two-story homes are constructed around a common driveway and do not share common walls. Paseo also features two sprawling neighborhoods with just single family homes. 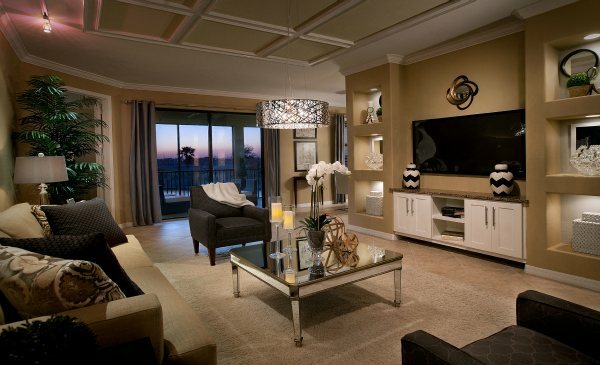 The Heirloom Series offers four spacious floor plans from 1,809 to 2,075 square feet and two-car attached garages. The Traditional Series offers four floors plans and range from 2,273 to 3,000 square feet. With so many options for using Real Estate companies to assist you in buying or selling your home, what's the big difference between using ABC Realty or Pinnacle Property Group? Well, believe it or not, it could be the difference between an enjoyable and professional process or a nightmare. We return phone calls. Yes! Believe it or not many agents will never return your call because so many of them are only part time and work other jobs. We are all full time agents. We communicate any way you like: phone, email, or text. We are on the cutting edge of technology and know how to use it. We are available on evenings and weekends. That's right, our phones don't shut off just because it's 5 o'clock. We take the time to explain the purchase and sale agreement - and all the other forms. We pay attention to details, so your agreements are always concise and correct. Don't let another agent make a mistake which could cost you thousands! We prepare a market analysis to help buyers decide on an offering price and sellers on sale price. We know where the market is and what homes should buy and sell for. We are skilled negotiators. We have coaches just like the best athletes. Would you trust someone who doesn't? We help arrange for all the necessary inspections and accompany our clients on inspections. We are in it with you from start to finish. We take extensive photos and write detailed descriptions of all your listings. I'm not talking photos with our phones...these are high definition photos with a professional camera. We go all out with marketing - exposing your listings to every possible buyer. We get along well with other agents, so they like to show your listings. This is HUGE! Don't let a company with a bad reputation ruin your chances of selling your home. We have some staging expertise and will give you tips on all the little things that make the difference between your home selling or not. We keep you updated on market conditions. Yes, the market is constantly changing and we review market reports monthly so we are the best informed agents out there. Don't take a chance on one of the biggest transactions you will ever make! Give us a call and see the difference. Take a look here to meet our team and see our raving reviews from some of our clients. This question comes up daily. Will a home with southern exposure in Cape Coral demand more money and sell faster? Well let’s take a look at the market data for 2012. You can see from the table above that the average price per sq ft is slightly higher for southern exposure homes in Cape Coral but the days on market and number of homes sold is almost the same. If you are looking to sell your home don't expect to wait very much longer for a buyer if you do not have southern exposure. Click on our advanced search, to search all home by rear exposure.